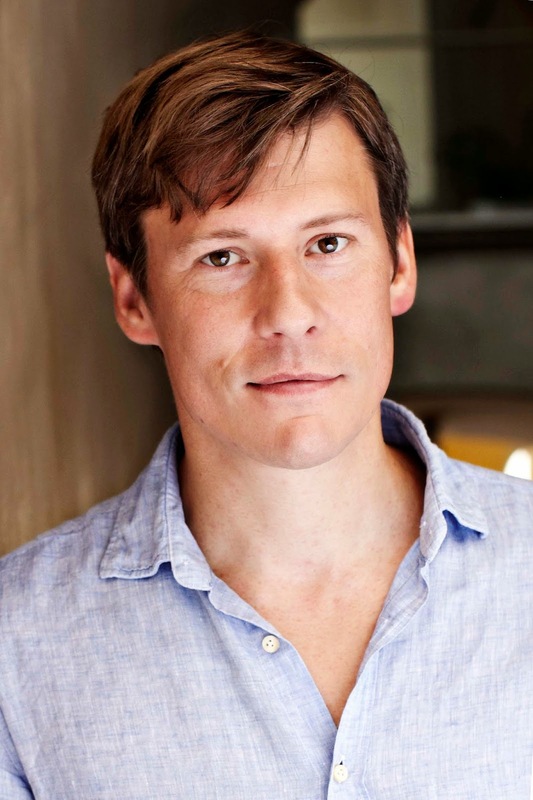 Todays guest blog is by debut author Andreas Norman who worked for the Swedish Ministry of Foreign Affairs for ten years on security issues and counter-terrorism. A published poet he currently works for the Swedish Embassy in Vilnius. I like political thrillers, because they never provide neat solutions. There is no resolution, no way out. There is seldom a murder to be solved, justice to be handed out, order to be restored. There are systems at work, bureaucracies, powers that will continue to move towards their pre-planned objectives, and then there are men and women of flesh and blood, full of ideas and emotions, who seldom prevail in any real sense. Political thrillers are essentially tragedies. And tragedy, I believe, offers the pleasure of reflecting upon what it means to be human, today, like all good reads do. The political thriller, as a genre, is in this sense very modern. For me, it provided the tools to tell a story about people who spend their days in offices, who deal with the complexity of vast organizations, moving through the same modern, urban landscapes as you and I. At its most fundamental level, I think political thrillers are stories about the tension between huge systems and the individual. Between the Goliath of global corporations, spy agencies, and ministries, and the David, who is you and I. The genre offers such rich opportunities to tell a story with a grand panorama, stretching from global politics to the most intimate feelings and thoughts of men and women trying to manoeuvre in these vast systems. My main aim with Into A Raging Blaze was to involve the reader emotionally and morally and create a sense of vertigo. So I needed real humans in the story, characters to believe in and take sides with. People who lie and betray others and even more often themselves, people burdened by too many secrets, who endure the dull pain of acting against their own personal beliefs in order to do their duty as a professional. The genre, I think, demands this complexity and I love it. That's why I write, to create characters that are alive, complex, struggling with fundamental issues. 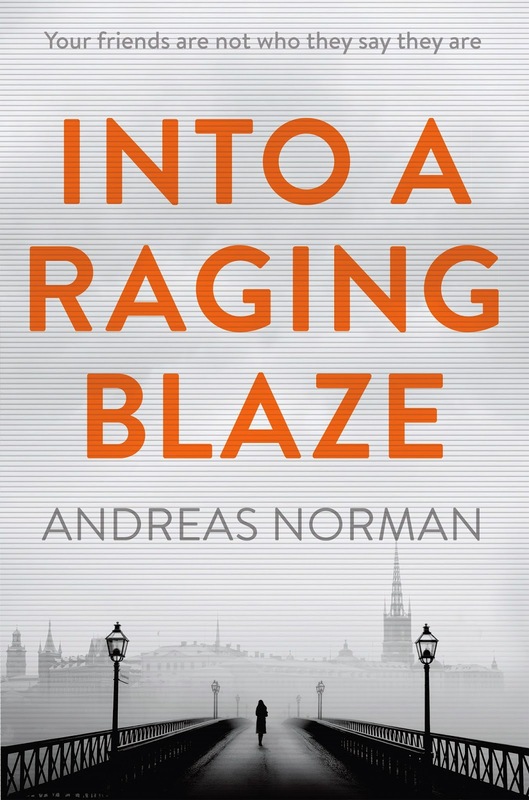 In Into A Raging Blaze, I chose to write about two women: Bente Jensen, a security service veteran and Carina Dymek, a junior diplomat, stuck in a mess. They develop into two people fighting a macho environment, struggling in their very different ways to "do the right thing", trying to find the truth and ending up fighting for their lives. Even though these are perhaps extreme predicaments, we can nevertheless relate to them. I love books such as The Human Factor by Graham Greene, John le Carré’s The Perfect Spy or Harold Pinter's play Betrayal. In any of these works, you can’t really point out a character and say: that’s a good guy, or that’s the bad one. With Into A Raging Blaze, and even more its upcoming sequel The Silent War, I try to create characters that are neither simply good, nor completely bad, but rather both at the same time. For me, as a writer, it’s a glorious moment when I manage to bring to life a character that moves back and forth along such an ethical continuum, who is likeable and nasty at the same time, does unethical things but still evokes sympathy. Political thrillers, like any good literature, have the potential to portray the struggle of modern man to reconcile such inner tensions. Without ever coming close to the greatness of Greene and Pinter, I think I can say that my character Bente Jensen in Into A Raging Blaze has this interesting ambivalence. I just longed to tell everyone about the absurd and often fascinating, seldom glamorous and often very strange life of a diplomat. I wanted to offer the reader a peak into the closed realms of foreign and clandestine services, and I wanted to tell a story that conveyed the sense of vertigo I felt as a counter-terrorism officer, as I moved close to the edges of ethical abysses. I wanted to write something ”real”, something far removed from the clichés of James Bond, something not too witty, but rather, frank and disturbing. I wrote in the evening, after work, and at the weekend. The political thriller quickly proved to be the obvious genre. I remember going to Rabat in Spring 2007, as a Counter-terrorism unit officer accompanying my boss. We met with the US Embassy in Morocco, discussed the usual subjects on regional terrorism in the vast desert areas of the Sahel, worrying signs of al-Qaida moving about in west Africa, and so on. It was a typical bilateral business meeting, with Sweden as a minor but helpful partner in the global war on terrorism. During the meeting I realised that the American deputy sitting next to the US Ambassador was most probably not the Head of Consular Section he had presented himself as, but a CIA officer. I never asked him, of course, and he never told me. But the way this man analysed specific leaders among the groups affiliated to al-Qaida, revealed him as far too knowledgeable about counter-terrorism for an ordinary consular guy. And it struck me: this is what I should write about. The tension of such moments, the secrecy, the layers of disingenuousness, the on-going surveillance, the gritty violence of counter-terrorism operations and the polite conversations of diplomats: there was my story, hiding in plain sight. Into A Raging Blaze is published by Quercus on 3 July, hardback, £12.99.